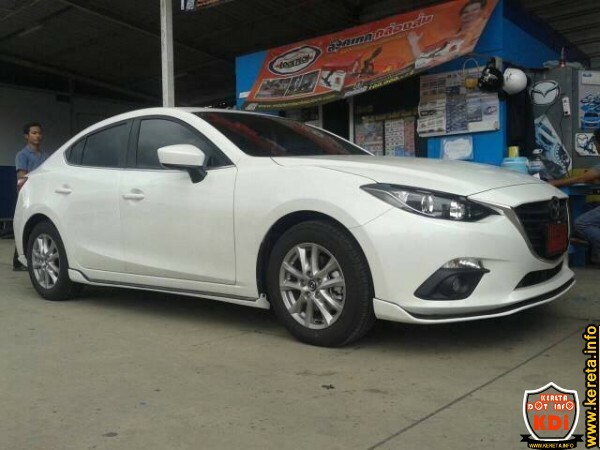 Mazda 3 2014 2015 sport hatchback and sedan body kit catalogue or brochure here consist of latest spoiler, full skirting front rear side skirt with additional accessories like diffuser, custom bumper,hood, canard, and other aero kit for Mazda 3 in fiber or PU material. Rear custom bumper diffuser with twin exhaust looks like a sporty suv. Bodykit Mazda 3 available in Fiber/frp @ pu/polyurethane @ abs/original oem material with or without paint. 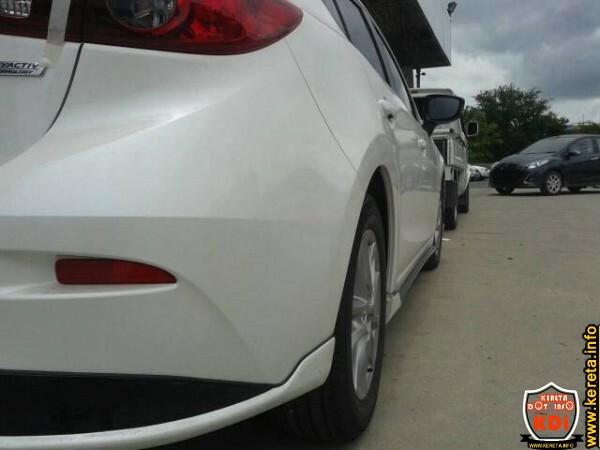 The price of body kit Mazda 3 different with different material. The cheap aerokit will be the fiber bumper, skirting or spoiler. Better get a PU body kit for better quality and better surface for long lasting painting. The price shown usually is the bodykit price without installation and new paint (harga siap pasang cat baru). You can ask for ready made bodykit with paint for extra charge around RM100 per part and with installation service around RM100 for full set bodykit Mazda 3. Colour available usually same with standard colour like white, silver, grey, red, black, blue etc. Hi bro please provide the address I will go and have a look. Thank you. May i have your contact and address? kindy email to me,Thank you. Boleh bagi nombor contact or email address? kindly email me please. thank you. May I have know ur location and contact? Boleh bagi nombor contact,lokasi or email address?